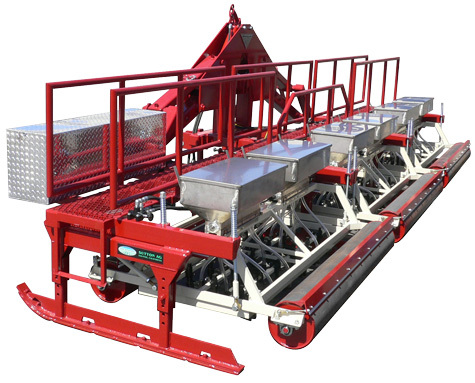 The Sutton Ag Stacker Bar provides a safe and efficient means of transporting large planters. 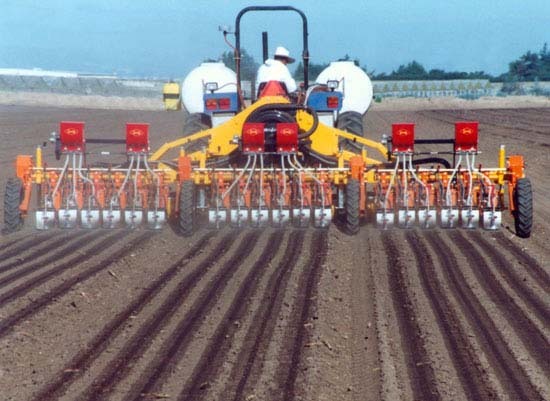 The popularity of wide planting beds increases every year, especially 80-inch beds. 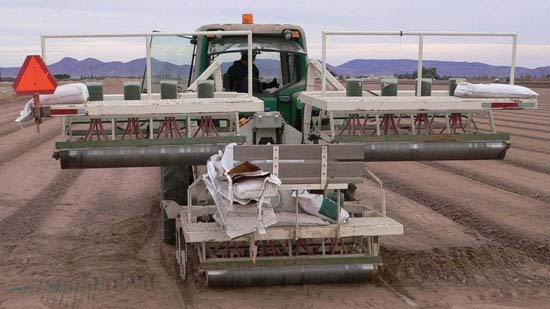 Seed planters large enough to plant three wide beds are difficult to transport safely and efficiently. Stacker bars can be used to condense these large planters for transportation. 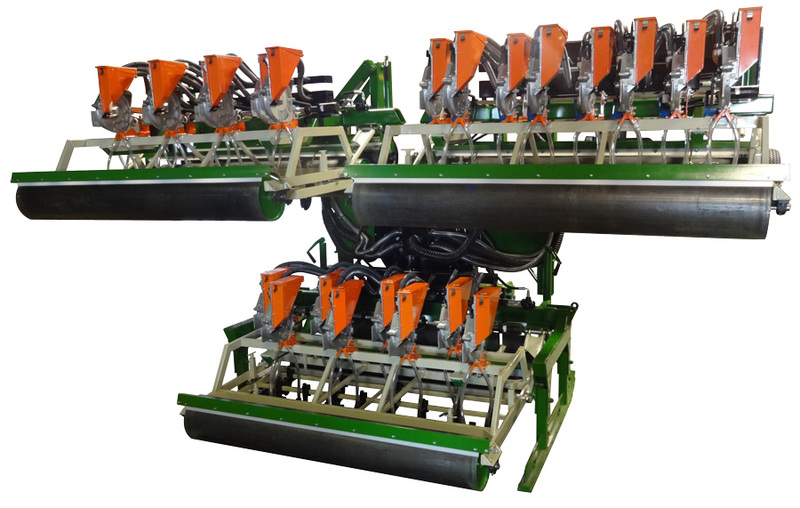 Our Custom Made Stacker Bar stacks the planter units, holding them in an upright position at a more convenient, transportable width under 14-feet. 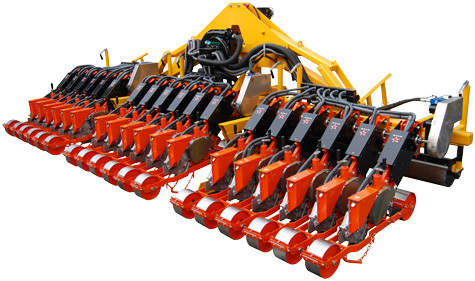 Stacking also has the advantage of elevating the widest part of the planter well above most road-side obstacles. Stanhay vacuum planter in 3-Bed Sutton Ag Stacker Bar with land wheels. 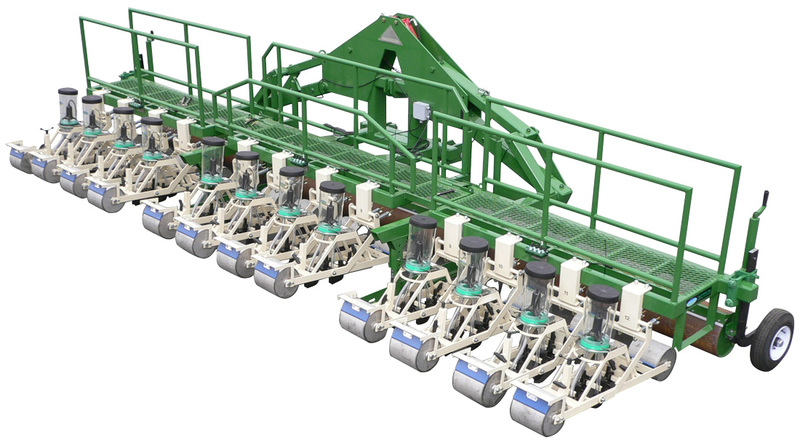 Includes material applicators and spray system. See the stacker bar folding action in our brief youtube video. 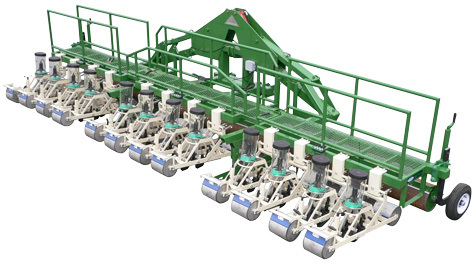 Seed Spider planter in 3-Bed Sutton Ag Stacker Bar with catwalk, railing, bench and bed rollers.